Recently, CIMSEC interviewed three leaders at the Maritime Advanced Warfighting School (MAWS) at the Naval War College in Newport, RI – Captain Brian Koehr, USN, the Director of MAWS, Colonel Rob Gardner, USMC (Ret. ), the Deputy Director, and Commander Mike Croskrey, USN (Ret.). Our conversation covered the basics about MAWS, how MAWS students are impacting Fleet planning, and how future capabilities will affect operational planning. O’Keefe: Tell us a bit about yourselves and how you ended up at MAWS. Captain Brian Koehr, USN: I’m a career carrier fighter pilot. My connection with MAWS started when it was called the Naval Operational Planner Course (NOPC). I was in the second graduating class of 2001. After I was finished flying, I had a series of staff jobs at PACOM, NORAD/NORTHCOM, and then on 6th Fleet staff before I reported here two years ago to lead MAWS. Professor Rob Gardner, Col, USMC (Ret. ): I was a career Marine officer, and retired as a Colonel just shy of 28 years in order to take this job. I’ve been with this program for almost 5 years. My background was artillery, although my career path was described by one of my students as something akin to the life led by Forrest Gump in terms of the things that I stood witness to over the course of my career. My initial planning background is that I actually went to the Marine Corps version of MAWS – the School of Advanced Warfighting – so I look at MAWS through a little bit different lens because I’ve seen one of its sister schools up close and personal. Professor Mike Croskrey, CDR, USN (Ret. ): I am a retired Navy Commander, where I served as a Naval Flight Officer in S-3 Vikings. My connection to MAWS started when the program was still called the Naval Operational Planner Course. I was detailed into the Naval War College as an instructor while I was still on active duty, and I had come straight from 7th Fleet having just completed a tour as the future operations officer. I had done a year-plus of crisis action planning, and that experience enabled me to start teaching here at the NOPC, which became the MAWS. I’ve been doing this since 2005. O’Keefe: What are the main things everyone should know about the Maritime Advanced Warfighting School? Koehr: MAWS is on par with the Army’s School of Advanced Military Studies (SAMS), the Air Force’s School of Advanced Air and Space Students (SAASS), and the Marine Corps’ School of Advanced Warfighting (SAW). Our graduates get similar credit. We generally have a DIA representative in the class as well, to learn their perspective on planning and how other agencies integrate into planning. The primary difference between MAWS and the other peer schools is that the others do the intermediate-level war college for a year and get their master’s degree, and then they attend for an additional year in their respective schools, whereas our students leverage the War College curriculum for the intermediate-level course concurrent with the MAWS course load. Our graduates earn a master’s degree through NWC, and Navy graduates also receive JP-1 designation. It’s a unique opportunity for us to leverage all the NWC faculty and expertise to teach these core educational items to our students while we also teach a very robust planning/operational art and campaigning side to them throughout the year. Beyond the extra length of the course, MAWS students put in a higher level of work. What for a normal student would be considered an elective, our students participate in MAWS, at twice the frequency per week. In the spring, we have them entirely to ourselves for a tailored Joint Military Operations core course as well as for an elective, so we have them as one closed group for the whole spring. Another unique thing about MAWS is what we do at the end of the program. We call it a capstone summer planning project, and it is a Fleet- or Combatant Command-sponsored project that serves as a final synthesis event for our students. This is really the icing on the cake of their education here. Since we’ve gone up to 3 seminars – a capacity for 45 students – we execute 2 summer projects. These are requested early on by higher level headquarters throughout the world. If they have a planning problem they want to put our students on, we talk to them about how to best meet our educational needs but also give back to the Fleet or other sponsor with very dedicated expertise from our students to tackle some tough problems. We’ve seen dramatic success out of those projects. At the end of the summer, we travel to brief the commanders of these respective units. This past year, we briefed Admiral Swift at Pacific Fleet (PACFLT), and he thought highly enough of the brief that he was trying to get us on the CNO’s calendar to brief him as well. The second group went out to 6th Fleet and briefed Vice Admiral Grady. Both of those briefs got rave reviews from 3- and 4-star admirals and their respective staffs. This past summer we also did a third project embedded with the PACFLT one, more of a concept development piece. So, these summer projects are where our students really come together as a group and the education really forms in their heads. I think what it really gives them is the confidence to go forward and contribute in the Fleet. They’re like a move-in ready house at that point. They can be plugged in right away, and they often are plugged in as Operational Planning Team (OPT) leads for the biggest plans that that staff has cooking at the time. To date, they’ve been performing superbly in all those roles. O’Keefe: That sounds like a terrific way to keep yourselves at MAWS connected with Fleet needs. How else do you get feedback from the Fleet, and how do you act on it? Specifically, what are people looking for in a planner, and what makes someone a great planner? Gardner: You’re right in that the summer projects keep us well-connected with the Fleet and with the joint headquarters that we support. A lot of the lessons or experience that we as a faculty gain from working with them, we incorporate back into our curriculum to keep it current. In terms of what makes a good planner, there’s a belief in some fairly-senior circles that if you adhere to the planning process, good plans will result. I think that’s a false belief in that the process doesn’t guarantee anything, other than that you went through the process. What makes good plans is people who can think. From my perspective, the thing that we instill in our students over the 13 months that we have them is a deep belief and understanding of critical thinking and creative thinking in solving operational, tactical, and strategic problems. So, when our students leave, they are familiar with the planning process, but more importantly, they are familiar with critical and creative thinking. The bottom line is that our program is designed to expose students to the planning process, but more importantly, we give them a critical and creative thinking skill set that will ensure they have a good plan when they’re done. Croskrey: Just one thing to add, our graduates often stay in touch with us when they leave. They’re out in the Fleet and in the planning community, and we’re able to keep connected with them on some of the projects that they’re working on. Often, they’ll ask questions, or share a bit about what they’re doing. That helps our program keep informed as well. And often, those connections enable us to shape a capstone project, because we can see what projects are within the visibility of the commander by what kind of projects our graduates are working on at the time. Koehr: What Rob was saying about thinking being important was absolutely right. One thing we say around here is a good plan will come from the process, but a great plan comes from thinking. I think the proof in the pudding there is when our students in small briefing teams go forward to brief these commanders. The 4-star would be enough to put them on edge, but the room is full of 1- and 2-stars too. When the questions are flying to our students, and they’re just backhanding them back to the admirals, it’s eye-watering to see because they’ve already considered and thought through the questions that the flag officers have. It’s a proud moment when we see them perform during these briefings. On feedback, Professor Croskrey hit it on the head – student feedback is where we get the most conversation. They are also helpful in shaping future capstone projects because they are active on the staffs. There is usually a rush from these commands to get us on their dance cards to do these summer projects, because you don’t often get 15-20 expert-level planners dedicated for 10 weeks, not being pulled away for collateral duties, just focused to sit down and work on their problems. The biggest feedback we get from the leadership out there is “make more MAWS graduates.” They want more, and there is a competition among the headquarters to get our graduates because they see what they can do. It’s unlike any other program you might see at the Naval War College here. Our graduates are truly unique and gifted in what they do. O’Keefe: Often we’ll hear at the tactical, ship-level that the Fleet is very short-term focused, that we don’t think through long-term planning challenges. Is there something in the MAWS graduate that helps them promote a better, longer-term planning process? Do we structure our teams better when we know we have teams that can manage longer-term planning? It’s often very hard at a tactical level to get out and look past three months. Do you think your graduates have a better ability to think longer-term and more strategically? Gardner: As the lone Marine in the room, I’ll take this on – I think everyone else might feel some loyalty to their service. When you look at the Navy, by-and-large the Navy is ship-focused. Up through commander, most folks are at the ship-level. Their perspective is often tactical in nature. One of the things we see with our students here is that we take them out of that comfort zone and don’t just expose them to other ships and fleets and things like that, but we take them up to the strategic level where they’re looking at the interplay of nations. What we see is that the students over time, and I think some of them would describe it as an unnatural act, trying to do that mind expansion, but they recognize over time as the course continues that when you’re at that higher level, things take longer. Whether it’s a military plan or political negotiations, you see the students start to gain an appreciation for a longer-term view. The tactical stuff happens fairly fast, and in a naval battle it’s a matter of seconds in some cases. But when you start to look at how nations interact with one another, that may be on the order of years or even decades. We see it over the course of 13 months. The students’ perspectives grow with that expanding view of time that comes with that higher-level exposure. In terms of changing things out in the Fleet, that’s a cultural thing. I think the only way that’s going to happen is if we continue to grow the population of folks with that perspective. Or, the Navy could send more students through educational courses, like the courses here at the Naval War College. Croskrey: Two elements come to mind. First, the MAWS graduate, if we look at a couple of capstone projects that we’ve done, they’ve developed a three-year or longer campaign. That planning horizon extends well outside of what you’re referring to – that 1-3 month mark that oftentimes the Fleet staff is looking at. So, I think that MAWS education enables those officers to be able to ask those kinds of questions. It’s a strategic look, an interaction among nations, a “how do we terminate this fight” kind of question, and that begs questions about military end states versus political end states. MAWS educates the students toward that end. The other piece to that question that’s really insightful is where in the Navy are we addressing long-term planning challenges? How does a MAWS graduate impact that ability to go out there at a Fleet level and do that? I’m not sure he or she can at the Fleet level. But there’s more of a systemic nature to that question – the theory/doctrine/practice piece. Your question looks at extending thought about the future of the Fleet, and where the Fleet needs to go in its thinking about fleet tactics or longer-range planning. There is a cultural and even systemic nature to that question that probably needs to be addressed above the Fleet level, in my opinion. O’Keefe: We’re talking at some level about how nation-states interact in certain ways. We hear a lot at the War College about our partners and allies, the CNO has his purple line of effort in the Design, so how do you think about our allies and how they plan? Do their planning styles affect our ability to execute coalition operations? Do you think about that at all in the course of planning your instruction? Croskrey: Yes, we do. It’s almost pervasive throughout our syllabus. We do a lot of historical case studies, and almost every one of them is a combined effort, an international effort. In our planning syllabus, almost all of the exercises are combined. So, that’s a heavy emphasis from a curriculum standpoint. Gardner: The one thing we don’t have is international students in our program, though they are at the War College. MAWS students are embedded with international students in their seminars (in some of the regular War College courses that they take) but we don’t actually have them in our program. That’s mainly because of the summer projects, which can go up to the Top Secret level. We also have some constraints in terms of being able to have coalition partners in our spaces. We’ve looked hard at it several years in a row, but regulatory restrictions have held it back at this point. But to make up for that, I can’t think of any portion of our curriculum that doesn’t have a coalition flavor to it, and our summer projects certainly have a coalition aspect that the students have to think through. I’m pretty confident that we have it embedded into the curriculum. The only exposure that they don’t get (and it’s not because we don’t want it, we just haven’t figured out how to do it) is having a coalition partner planning side-by-side with them. O’Keefe: We talked about the fact that most of our planning and operations focus is at the ship level. In general, the carrier strike group (CSG) is the fundamental unit of issue for naval forces. So how has the drive towards distributed operations affected what you’re doing at MAWS, if at all? Gardner: We are not carrier strike group-centric in our approach. While the Navy may be like that, because we’re trying to elevate the students’ perspective, the CSG is just another unit out in the battlespace for the students to plan for. Normally, we’re planning at the Fleet level. Oftentimes, they’re worried about how to plan for multiple strike groups, and how to integrate the operations of those strike groups in a naval fight. So, I think from our perspective, we walk through that in terms of what the CSG capabilities are early in the course, but that’s not the focus of what we’re doing. It’s higher than that. O’Keefe: We have tons of new technologies out there – autonomous systems, people thinking about electromagnetic maneuver warfare, the cyber domain. So how if at all are you teaching your students to think about those as tools in their toolkit, and do those change your planning processes and the ways you might get to an answer for a military problem? Koehr: While we don’t have a dedicated class, per se, on the electromagnetic spectrum, etc., we have the advantage here of leveraging the core curriculum at the War College, where there is a little bit more depth to learning about some of these newer technologies. We do get subject matter experts in to talk to our students. In particular, for the summer project we always have a lot of people from the Office of Naval Intelligence, the CIA, and DIA come in and tell us what’s in the realm of the possible as a planning consideration. They talk about what kinds of effects we might see out of these things and what advantages we can take from them. Also, what are the disadvantages and the drawbacks? A lot of the new technologies are viewed as panaceas and they’re just not quite that. So, getting to the ground truth of what the new technology means in the process of putting together a plan is very important. We get outside experts who are studying this all the time to come and speak with the students to bring them up to a baseline from which they can start their efforts. The MAWS faculty and class of 2017 at Correnti Island, Sicily, Italy during the OPERATION HUSKY staff ride. Staff rides are an integral component of the MAWS curriculum as they help students tangibly relate theory, doctrine, practice, and terrain together in a manner that cannot be accomplished in a classroom. Croskrey: I would add that to help the students understand the constant dynamic of technological development in naval warfare, we help them to understand the changing character of war aspect that will need to be addressed, but that the nature of war is going to remain relatively stable. I think that helps them. Let’s say you start to look at UAVs being implemented into the fight. It helps to not look at the technology and rely on it as a way to win, which can get you into trouble very quickly. It is more of a “how can I leverage the technology,” this character of war, in order to win this fight. Like CAPT Koehr said, we bring in the experts to help inform us on what’s in the realm of the possible. But we, I think, have a level-headed approach to that technological input to our planning. Gardner: I think the way I would put it is whether it’s unmanned systems, cyber, whatever, those are capabilities. Those capabilities change, in some cases very rapidly. But that’s not a new phenomenon in war. For example, from bows and arrows, to muskets, to rifled guns, to machine guns… that progression is seen across all aspects of warfare. Like Mike was saying, we emphasize that changing character of war so that the students are ready for what we don’t even know is coming. They must incorporate those new capabilities that no one’s even mentioned yet when they show up. The idea is that it’s not a war-winner, necessarily, but it’s an enabler for better operations. So, their ability to think through the question of, “these are the capabilities, how do I best employ them to greatest effect?” – that’s where we put a lot of our focus. O’Keefe: Continuing in this vein of new capabilities, are there any relationships or feedback loops between the results of your courses and planning exercises and the work of the Navy’s Warfighting Development Centers as they look to develop new tactics, techniques and procedures, and doctrine? Is that a place where you tie in, or is it strictly into the Fleet level where you’re doing the summer programs? Gardner: The development of the WDCs by the Navy was a long time coming. The War College is a supporting activity to all the WDCs, so the College as a whole is well-connected to the various activities. The way the College has approached that is to ensure that the WDCs know that we’re here and available to support, and we provide the expertise that they need, whatever that might be. We also try to monitor, as a College, what’s going on out there so that we can anticipate what the requirements might be in the future. The school’s done a pretty good job at establishing the connections as a whole. From a MAWS-specific standpoint, we’re monitoring those conversations but we’re not actively out there beating down doors at the WDCs. We’re siphoning off the activities of the rest of the College. O’Keefe: If someone was interested in becoming an Operational Planner, how do they get into your program? Who are you looking for and where do you find them? Koehr: Mostly through the Bureau of Naval Personnel (BUPERS), as you would expect. Our goal is to make sure that young officers are aware of the program. Typically, it’s the direct customers at the flag-level who are responsible for these plans, who know all about MAWS. They know what they’re getting in a MAWS graduate. The opportunities need to be spelled out better for the junior officers. We want a career-viable officer. We provide an education, they work for that education, and they gain experience through that education. When they go to the Fleet, we want this expertise to have accessibility to the commander. That accessibility usually comes with increased rank. Typically, our graduates become the go-to guy for the commander. In a perfect world, they’ve got the commander’s full trust and confidence. We’ve seen this play out, where the MAWS graduates are called into the big office and queried about any kind of topic, and end up working on thought pieces for the commander on the side, but they certainly are getting the visibility. We do want to get bang for the buck for the Navy. That means that officers who graduate from our program should go out and serve in planning billets. To dispel one myth, some students come in and think that they’re being pigeon-holed as a planner, that they’re not going to get to drive their submarines anymore or fly their jets. That’s just patently false. The one thing that always takes primacy for our students is career progression. So, milestone tours will not be deferred to go serve in a planner billet. If they are leaving here to go serve in an XO/ CO billet, they’re going to go do that. Where those staff jobs happen, they go serve in a planning capacity, whether in a J3/J5/N3/N5 directorate, bringing all those skills to the table. Another good thing for the students there is that face time with the admiral is very important for a viable career. Break-out opportunities on a big staff are heightened for a MAWS graduate because they are going to be out there in front-leading planning teams, coming up with the great plans, becoming the go-to guy for the commander. It’s a career-enhancer in my view. I did NOPC and had command of my fighter squadron down the road. No impact, and if anything it’s a tie-breaker and another arrow in your quiver of accomplishments in the Navy. It shows another specialty that you possess. Gardner: To more specifically answer your question, if an officer’s interested in becoming a planner, the first thing he or she needs to do is talk to their detailer. Our Navy students are detailed to us by BUPERS, so that slate of students is built there with the understanding that all the students are coming to the War College for the intermediate-level course. So, they have to do the resident education here at that level in order to get to MAWS. Croskrey: If an officer would like to be an operational planner, then MAWS is a great place for them to come. Our curriculum is actually tailored and set up for officers who want to, and who are progressing toward future warfighting leadership roles. If they want to learn their profession of warfare, the study of war, one of the best places to do that is MAWS. Those officers will also become expert planners. 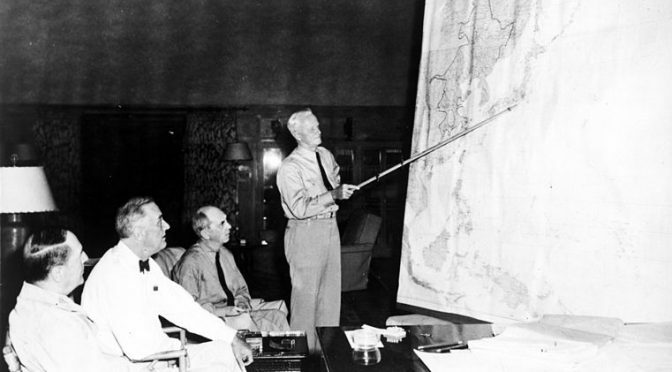 The plans that they produce help commanders make decisions. In effect, MAWS graduates gain experience in their own ability to make better decisions about the warfight through the planning that they learn how to do, and the advising that they do, for the commander. So, we’re really highly tailored toward that kind of officer. MAWS produces planners, yes. But MAWS also produces future leaders, future fleet commanders, even. Gardner: MAWS is a leadership course disguised as a planner course. Our students, through the effort of planning and discussions about advising commanders, learn an awful lot about senior-level leadership. So, when they leave here, they are much better prepared to step in in that role later on in their careers. O’Keefe: Let’s say a planner has graduated from your course and they’re out in the Fleet. How would you advise them to maintain their skills in operational planning? Koehr: Reading is obviously a very good way to stay connected, any kind of publication they can get their hands on, to read what is going on in warfighting. That will spark their planning instincts on how they would tackle issues as they go forward. Reachback here to us at MAWS is also a great way to stay connected – come back, tell us what they’re doing. But don’t shy away from the skill that they have and look for opportunities to use it after their CO tour, if they go to a staff and it’s a good career move. It’s a good opportunity for them to get back in the game. O’Keefe: I think that wraps us up for this interview. Is there anything else you think we’ve missed or wanted to touch on? Croskrey: I appreciated your question on the carrier strike group versus the fleet question. How do we fight the Fleet? I think that is a fundamentally important question that the Navy needs to ask. It’s one that we have asked here. As you probably know, there is very little doctrine that describes how to fight the fleet as a maneuver element. There is probably room for work on what the theories say, and how we implement those theories into practice. How do we think about the tactics of fighting the fleet? That is something that we took on a couple of years ago. We asked that question and found that there was very little out there. One of the things that we have really begun to leverage is Fleet Tactics by Captain Wayne Hughes. We have leveraged that a lot in our curriculum to try to understand how do we, through major tactical actions, achieve strategic objectives? That question is so fundamentally important about the fleet and the warfight, and we spend a lot of time on that now. Where is that taught in the Fleet? I don’t know of anywhere in the Navy outside of the MAWS where that’s really looked at. Koehr: Mike’s being humble here. He has developed a new way of looking at relative combat power assessment, based on the salvo equations in the book, and it’s making the rounds to all the big thinkers. There is a lot of goodness involved in all the hard work he’s put into this. Our students get taught this technique, and we’re seeing it work for them to understand what a fleet can do against a fleet. That’s just one small example of where this does potentially tie into a future relationship with one of the WDCs. We have a number of case studies built into our curriculum. I think our students leave here mini-historians when we get done. That perspective of history they depart with… not all the schools take it to the level we do because they don’t have those re-design efforts. So, when you look at the Navy today, we’re the youngest of all the advanced planning schools. But, I think our program better prepares our students for planning positions and leadership because we’re not wedded to what’s already been done. Our program changes fairly frequently to keep it current, and because we have so many real-world and historical pieces, it establishes a foundation for our students that they can apply when they leave that adds value to their careers and services. Because we’re relatively small and because the Navy isn’t filling all their seats, we also are the most joint in terms of student mix of all the planning schools. Normally about a third of our students come from sister services, sometimes as much as half. Our students get a phenomenal exposure to their sister services in a tangible planning perspective that I would argue is pretty valuable and is particularly unique in that the Navy is probably the least joint, culturally, among the services, because of the domain they fight in. So, if you look at a MAWS graduate, when they leave they have a very joint perspective but they go back to a service that has only in the last 10-15 years embraced the idea of jointness. Koehr: To echo what Rob said about the leadership aspect of our school, I’ve come to his way of thinking. This is very much a leadership school. One of the biggest leadership challenges is leading your peers. Throughout the whole curriculum, we grab one person and have them be OPT lead. Put yourselves in the shoes of a supply officer who’s OPT lead in charge of a bunch of line officers. It’s uncomfortable, but they learn how to do it, in addition to briefing up to 4-star admirals. That’s a whole lot of leadership information that is cooked into the curriculum without us really making it a focus item. Also, just a clarification of this characterization of “becoming a naval planner.” I look at it as you’re still that ship driver, but you’re leaving with an expertise you didn’t have before. For an extra 3.5 months in MAWS, you’re leaving with an AQD of JP1 on top of your Master’s degree. “A” stands for additional. It just means you have one more skill to go back to the Fleet with. You’re not suddenly “I’m Operational Planner LCDR Smith,” you’re still Fighter Pilot LCDR Smith, but you have expertise in operational planning. That’s our goal. That’s why we want, the upwardly mobile and career viable officers hitting all the milestones, because in the perfect world, all the leaders are MAWS graduates and understand the planning process inside and out. The commander has a lot to say about this whole process. If we have a bunch of senior leaders who really understand, we’re going to get some good things done out in the real world. We want those kinds of officers in the program. They just will have an additional skill that a lot of others won’t have in the Fleet. CAPT BRIAN KOEHR, USN commissioned in 1988 through the NROTC Program with a B.S. in Mechanical Engineering from the U of Notre Dame. He has multiple deployments to the Med Sea and Northern Arabian Gulf flying the F-14. He was the CO of VFA-103 flying the F/A-18F Rhino when the squadron was awarded the Atlantic Fleet Battle “E” and he was presented the 2005 Naval Air Forces Leadership Award. He has served on the staffs of the US SIXTH Fleet as Air Operations Officer, US Pacific Command as acting Director of the Joint Interagency Coordination Group and US NORAD / Northern Command as Dep Command Center Director. Most recently, he was the CO of the NROTC Chicago Area. He holds a JP-3 AQD. COL Rob Gardner (Ret.) served as assistant Chief of Staff, G-3 Operations Officer for the 1st Marine Division, where he deployed to Afghanistan in support of OPERATION ENDURING FREEDOM. Served in artillery units, as a Naval Gunfire Instructor; a Marine Expeditionary Unit FSO; an instructor with MAWTS-1; speechwriter for the 32nd Commandant of the Marine Corps and Senior Aide de Camp to the 32nd and 33rd Commandants; Chief, JPG, CJ-5, CJTF-HOA in support of OPERATION ENDURING FREEDOM; Deputy Chief of Combined Policy, C5, for Combined Forces Command and the Chief of Policy, U5, for United Nations Command in the Republic of Korea; and Team Chief, Regional Border Team – North in support of OPERATION IRAQI FREEDOM. Professor Michael Croskrey is a faculty member of the Maritime Advanced Warfighting School. He served in the Navy as a Naval Flight Officer in the S-3 Viking aircraft deploying several times throughout the Pacific Ocean and the Arabian Gulf. He has conducted flight operations from six carriers and accumulated significant warfare area experience in anti-submarine, anti-surface warfare and as an air wing strike leader for war-at-sea missions. While forward deployed on Seventh Fleet’s staff he conducted both tactical and operational level planning from the numbered fleet, Joint Force Maritime Component and the Joint Task Force Commander’s perspectives. Professor Croskrey’s teaching concentration is operational level planning. He has orchestrated numerous planning support efforts for MAWS students with various numbered fleets, naval component commands and combatant commands. His research interests include current and historical application of operational art in the maritime environment. Professor Croskrey retired from active duty with 21 years of service. He holds a graduate degree from the Naval Postgraduate School where he completed the Naval War College JPME program, and an undergraduate degree from Iowa State University. Ashley O’Keefe is the Secretary of CIMSEC and a Surface Warfare Officer. She is currently assigned as the Plans and Tactics Officer in USS LASSEN (DDG 82).